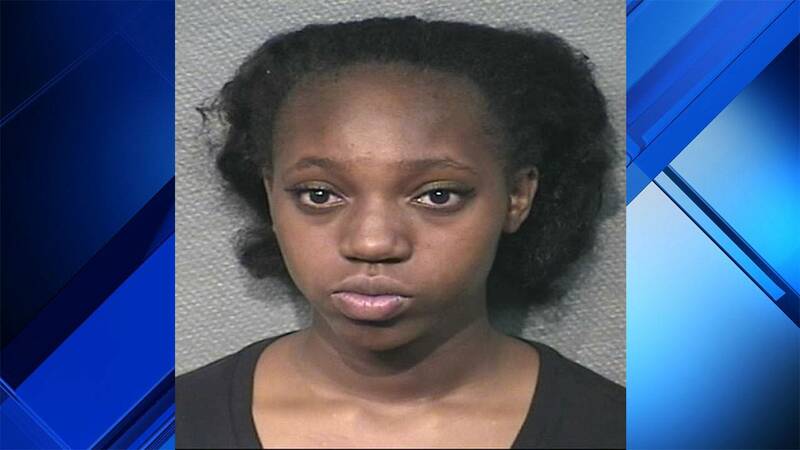 HOUSTON - A woman was arrested, accused of leaving her young niece and nephew alone in a hot car outside a grocery store Sunday in southwest Houston, police said. Nakita Morgan, 29, is charged with endangering a child. The incident was reported on Sunday, July 16, outside the Randalls at 4800 W. Bellfort. Houston police said officers were flagged down in the parking lot of the Randalls by a woman who said two children were left alone in a hot car, police said. Police found the children in a black Chevrolet Impala with the windows rolled down a quarter of the way. Houston firefighters were called to the scene. The children, a 2-year-old boy and 7-year-old girl, were slightly dehydrated. They were released to their grandmother. Police reviewed surveillance video from Randalls. Officers said in the video, Morgan pulled into the parking lot, took the children out of the car, then walked toward the store. Morgan later turned around and put the children back in the car. A witness saw the children crying in the car and alerted Randalls employees, police said. Customer service paged the owner of the car, police said. Morgan told the employee she knew the children were crying and went back to shopping, according to police. The children were left in the car for 15 minutes, police said. Morgan was arrested and released from jail on a $1,500 bond. She's due in court on Wednesday.